Formerly a Captain in the British Army,Â TOBIAS MEWSÂ retired his commission in order to pursue a career in journalism. His work has been published in theÂ Daily Telegraph,Â Runner's World,Â Men's HealthÂ andÂ Triathlete's World. Tobias has tackled many of what are regarded as the toughest races in the world, from mountain bike stage-races across South Africa to iron man triathlons in Norway. "Packed with inspiration, expert advice and passion for a life of adventure, I love this book!" "Mews has done it again! 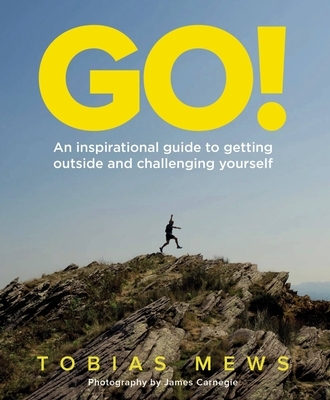 This is the new bible for getting outside and challenging yourself. Strap up those laces, the adventure is waiting and it’s looking good." "Epic! The ideal resource for anyone wanting to find adventure and dream up that ultimate challenge." "Brilliant! Begs you to find your own adventure."